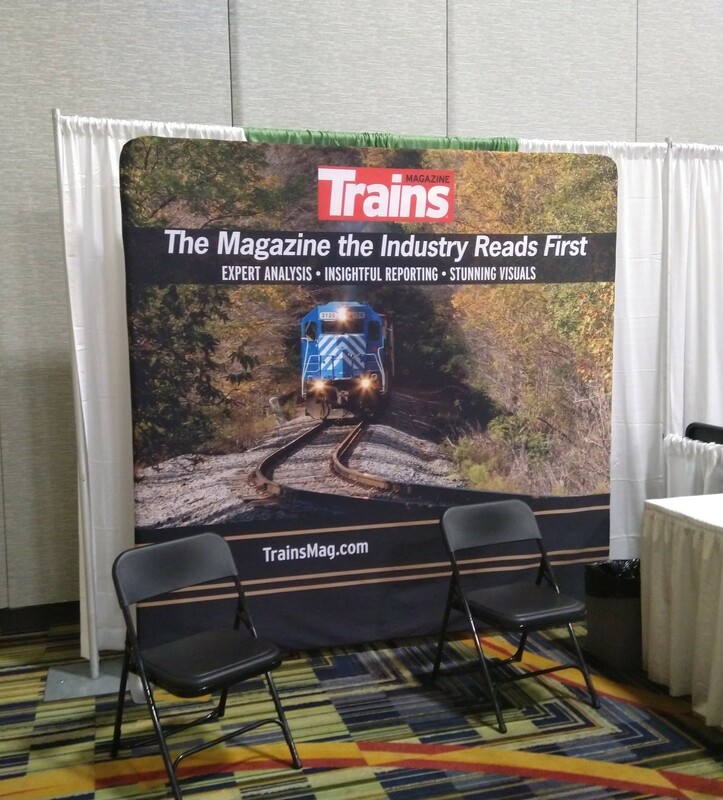 We meet a lot of people at trade shows, and today at the American Short Line and Regional Railroad Association CONNECTIONS show in Orlando was no exception. They can generally be distilled down to two categories. The first group comes up to us and gushes: “Oh, I LOVE the magazine. I’ve been getting it for 40 years.” Often, that statement is follow with, “And my dad had a subscription before that.” I fall in to this category as my first Kalmbach subscription, Model Railroader, started more than 20 years before I joined the Trains staff. The other group usually manages a polite, “Who are you now?” That’s alright, because that’s exactly why we’re at the shows, and we always have a sample magazine to share. (Naturally, at the short line show each year, we hand out the short line-themed issue, which, you may have noticed, is timed around the convention.) In that regard, there are really two types of Trains Magazine fans: people who are already our fans, and those who will be soon. As a long time reader myself, I often forget that there are people who have never heard of the magazine before. Often, the people who haven’t heard of Trains are new to the industry, and that’s a good thing. It shows there is new blood coming in to railroading and with it new ideas and enthusiasm. I look forward to telling their stories in a future issue of Trains, and I hope that you’ll be around to read them.